In 2018, PVC market was healthy in China. The supply and demand of PVC were largely balanced. PVC prices ran at a high level, and the average price was obviously higher than last year. Market transactions have been increased actively. PVC inventory maintained regular changes in 2018, which kept rising in the first quarter and declined in the second quarter. The inventory remained low in the third quarter and was predicted to increase in the last quarter. Output of PVC declined obviously in summer due to increased maintenance and unplanned production cuts against high temperature. Environmental protection supervision continued to influence the supply and demand of PVC industry. The integration of downstream industries accelerated in the back of environmental protection supervision. The number of orders at large downstream factories saw a significant increase, yet that at small factories was mediocre. Calcium carbide prices remained high, resulting in higher average price of PVC than abroad. The export volume of PVC slumped Y-O-Y since the arbitrage window closed. 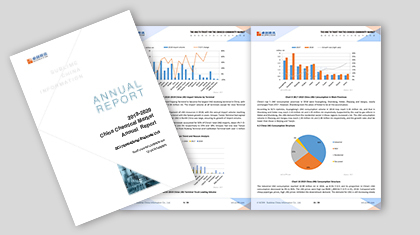 This report, based on years of data collected by SCI, elaborates on the upstream and downstream of PVC industry, and focuses on the study of supply-demand structure and forecast combined with macro and micro aspects. How will PVC industry develop in the future after three years of prosperity will become the focus of our study. 1. Presenting the capacity and output of China’s PVC producers in past 5 years. 2. Fully presenting the whole situation of upstream feedstock and related products. 3. Analyzing the driving factors of price change form multi-angles. Making objective assessment of PVC value chain. 4. Analyzing integration of chlor-alkali enterprises, advantages and disadvantages of enterprises in regions comprehensively.